We were walking through the village where I’m staying last night and came across the stream where many locals get their drinking water. 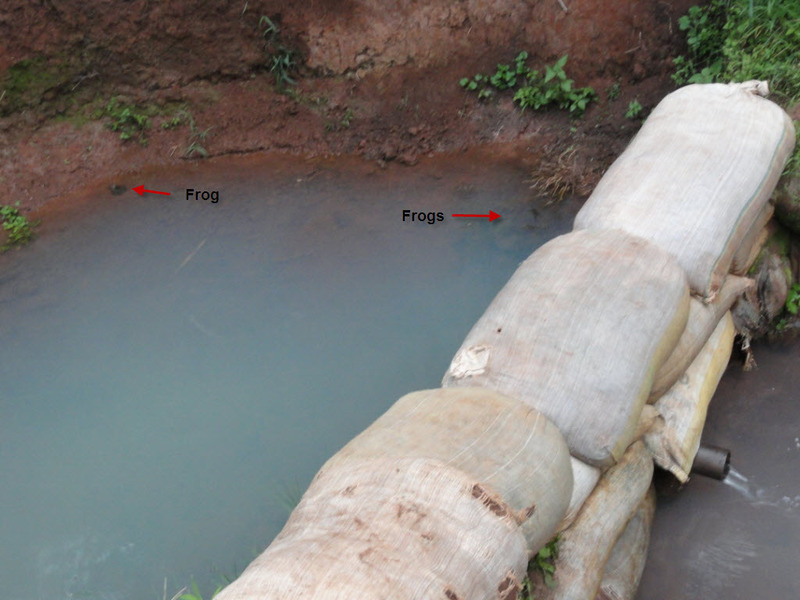 As you can see in the pictures below, the stream contains a makeshift dam with a pipe in it that acts as a faucet. This is known as an “improved” water source because in theory it prevents animals and people from contaminating the water. 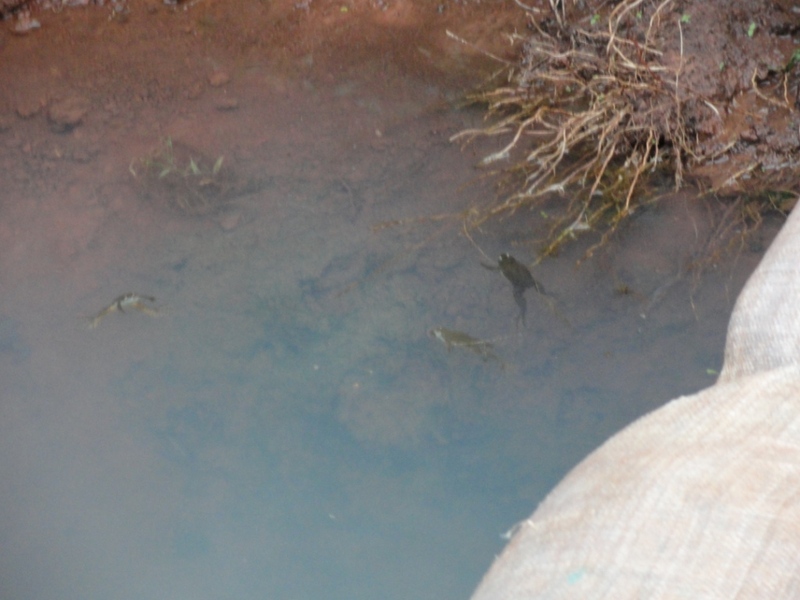 However, as we stopped to look at the stream, we noticed several frogs (along with quite a few bugs) happily swimming in the water. 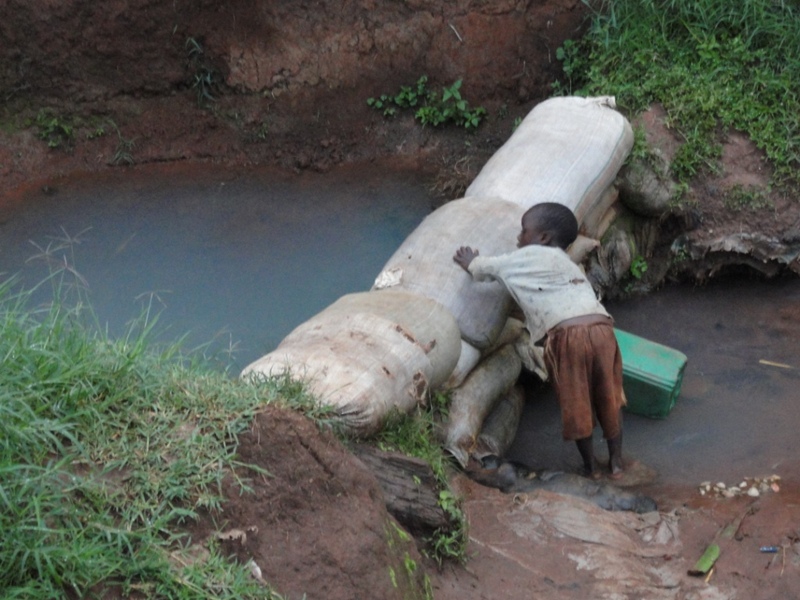 Not more than two minutes later did a little boy come by to take water from that stream. Not that I had any doubts about why this program was necessary before, but times like this really reinforce how truly important it is.